The City of Boston’s Commission on Affairs of the Elderly released data from its Age-Friendly Boston Initiative. 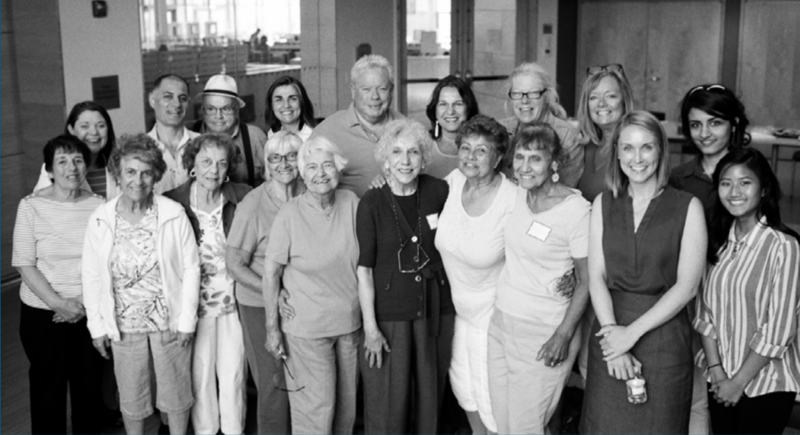 The Age-Friendly Boston project challenges the city’s public agencies, community groups, businesses, cultural, educational and religious institutions to consider how changes to policy and practice can enhance the quality of life for Boston’s aging residents. The report focuses on Boston residents’ feedback on growing older in Boston. Mayor Martin J. Walsh was the first mayor in Massachusetts to adopt the age-friendly framework. In response to the 2014 Aging in Boston report indicating an approximate 52% increase of the older population in Boston by 2030, Mayor Walsh signed onto the World Health Organization’s (WHO) network of Age-Friendly Cities, through their United States partner AARP, and launched the Age-Friendly Boston Initiative. Under Mayor Walsh’s leadership, the Elderly Commission formed a partnership with UMass Boston Gerontology Institute, supported by a grant from the Tufts Health Plan Foundation, to conduct research based on the guidelines set forth by the WHO. In the first phase of the initiative, it focused on gathering input directly from older residents about the strengths and weaknesses of growing older in Boston. An insufficient amount of housing is available to seniors in Boston, including housing with supports necessary for the elderly. About half of seniors are satisfied with the access and quality of health and social services in the city. The affordability of housing options to seniors is a barrier to maintaining one’s home and to finding appropriate housing. Nearly 50% of all listening session recommendations centered on improving Boston’s walkability. Feeling taken advantage of is one way seniors feel disrespected in their community. Seniors report a general lack of paid employment opportunities for seniors. A Civic Academy with Mayor Walsh on February 28th, 2015 to kick off the project. 3 language specific listening sessions in Spanish, Chinese and Haitian-Creole (the top three languages spoken by older residents in Boston). 3,700+ surveys completed-surveys available in the top six languages spoken in Boston. Consultations with service providers, non-profit organizations, senior groups, faith-based organizations, neighborhood associations and city departments. Once the data is released, the next steps include appointing an advisory council and drafting an action plan. Projects currently in the planning and implementation process are an Age-Friendly walking project with Walk Boston, a partnership with the Boston Parks and Recreation Department involving seniors’ input in new park designs, a partnership with Tufts Human Nutrition Research on Aging Center to educate seniors on the new Senior MyPlate and seasonal cooking and walking event, and a partnership with Design for Aging (a subcommittee of the Boston Society of Architects) to utilize their expertise on city planning projects and the Walk Boston project. As part of Mayor Walsh’s ambitious Boston 2030 Housing Plan, the City of Boston is working to address the number of low-income senior households living in Boston who wish to remain in their existing housing as long as they are financially and physically able. Since 2014, almost 600 senior households have been able to retain their housing with City assistance. 325 low-income senior renters were able to retain their housing through homelessness prevention programs, and 260 senior homeowners were stabilized in their housing through major home repair programs and foreclosure prevention services. Four new elderly affordable housing developments were completed in 2015, adding 192 units. In addition, the City now has three affordable senior developments in the pipeline, and has renewed its commitment to affordable senior housing, adding a new $1.75 million budget line item in FY16. Mayor Walsh also launched Seniors Save, a proactive heating system replacement program for senior citizen homeowners in Boston. Aging and inefficient heating systems are replaced before a catastrophic failure results in no heat for a senior. New, more energy efficient heating systems result in both capital and fuel savings for the senior homeowner, which can be used to stabilize the senior homeowner’s budget for items such as food and medicine. The Age-Friendly Boston Initiative report is available in full on Age-Friendly Boston’s blog.